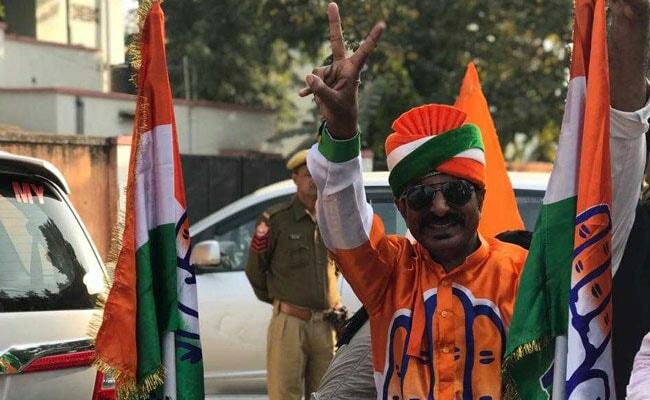 Rajasthan Assembly Election Result 2018: Festivities have begun outside the Congress office in Delhi. 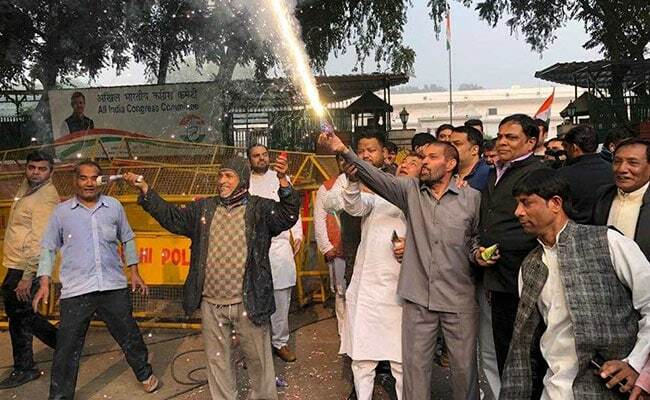 Hundreds of Congress supporters have been dancing to the tunes of dhol outside 24 Akbar Road, the All India Congress Committee (AICC) office and bursting crackers since morning. The office is well-stocked on laddoos, but distribution will only begin after the final results. Waving placards with "Rahul Gandhi zindabad" written on them, party workers say Congress is winning in all five states. A victory for the Congress will be a huge highlight on Rahul Gandhi's career graph as a politician. 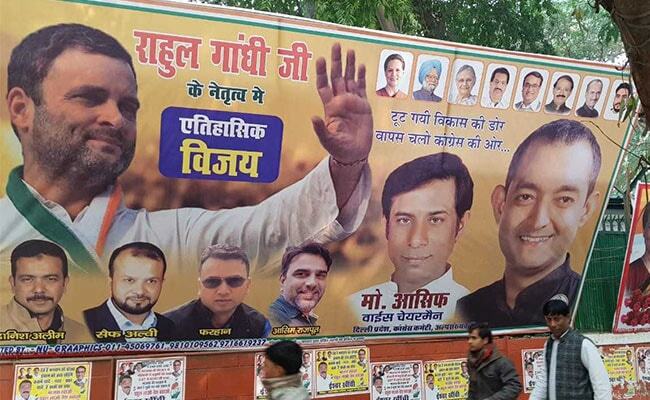 Huge hoardings announcing Congress' "historic victory" can also be seen outside the party's Delhi office. Congress workers also performed a "havan" or ritual outside Rahul Gandhi's home in Delhi. A group sat with photos of Rahul Gandhi, his mother and former Congress chief Sonia Gandhi, his sister Priyanka Vadra, Madhya Pradesh leader Kamal Nath and Rajasthan leader Sachin Pilot. Congress workers are confident that the party is winning in all five states. Big boxes of crackers and ladis have also arrived at the Congress office in Jaipur. Dressed up party workers began their morning with a breakfast of kachori and jalebi. They waved party flags and raised slogans praising senior leaders Sachin Pilot and Ashok Gehlot. "Sachin nahi aandhi hai, Rajasthan ka Gandhi hai", "Rajasthan ka pilot" and similar slogans were heard on the streets. The Congress is racing ahead in Rajasthan and is also leading in Chhattisgarh and Madhya Pradesh, where exit polls predicted split verdicts. In Telangana, however, K Chandrashekar Rao's party has left behind the Congress-Chandrababu Naidu alliance. In Congress-ruled Mizoram, the only state in the northeast with the party, is trailing the Mizo National Front (MNF).